Ms. Ohira is a Director of the firm. Ms. Ohira concentrates her practice in the areas of real estate law, hotels and resorts, business structure and operations, and commercial transactions. She works on a variety of real estate acquisitions and sales, commercial and residential developments, and commercial leasing. She also has experience representing condominium associations and assisting in condominium and community developments. Ms. Ohira’s commercial work includes the formation of business entities and corporate acquisitions and sales. She also represents clients with liquor licensing matters, including liquor license applications, transfers, and defending alleged violations. 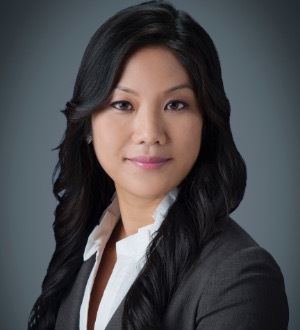 Ms. Ohira has received Martindale-Hubbell's highest possible “AV Preeminent” rating for her legal skill and integrity. She has been selected to the 2017 Hawaii Super Lawyers, "Rising Star" list. Ms. Ohira has also been selected by her peers for inclusion in The Best Lawyers in America© in Honolulu 2018 list in the practice area of Real Estate Law.Ms. Ohira is a member of the Hawaii State Bar Association and served as the Chair of the Real Property & Financial Services Section of the Hawaii State Bar Association in 2016. At the William S. Richardson Law School, Ms. Ohira graduated among the top students in her class. While in law school Ms. Ohira was a Casenote Editor and the Resource Manager of the University of Hawaii Law Review. She received the CALI Excellence for the Future Award in Property I (2005), Internet Law & Policy (2005), State & Local Government (2006) and Secured Transactions (2006). Ms. Ohira also published an article with Professor David L. Callies, Public Use/Public Purpose After Kelo v. City of New London: What’s Happened Since, in the Institute on Planning, Zoning, and Eminent Domain in 2007. Real Estate Transactions. Assisted in the representation of developers in both acquiring and selling high-profile properties, including hotels and resorts, golf courses, and shopping centers. Duties included due diligence, drafting and negotiating purchase and sale contracts, financing documents, opinion letters, and working with various state and city permitting agencies. Real Estate Developments. Assisted in the representation of developers seeking to develop planned communities, mixed-use projects, and commercial developments. Duties included title review and analysis, identifying and resolving land use and entitlements issues, and coordinating and facilitating survey, construction, and environmental work. Condominiums. Represented clients seeking to create condominium property regimes and condominium conversions. Examples include the conversion of an office building into a medical office condominium project. Commercial Leasing. Represented both landlords and tenants in commercial leasing transactions involving shopping centers, office buildings and ground leases. Entity Formation and Structuring. Formation and preparation of corporate documents such as bylaws, operating agreements and shareholder agreements. Examples include, the organization of a beverage company and an event planning company. Commercial Transactions. Represented clients in the sale and/or acquisition of small businesses. Examples include the sale / acquisition of a property management company and restaurant and bar. Liquor Licensing. Represented clients seeking Hotel, Restaurant and Dispenser licenses. Also represented clients in transferring and obtaining transfers of liquor licenses. University of Southern California, Pol. Sci.